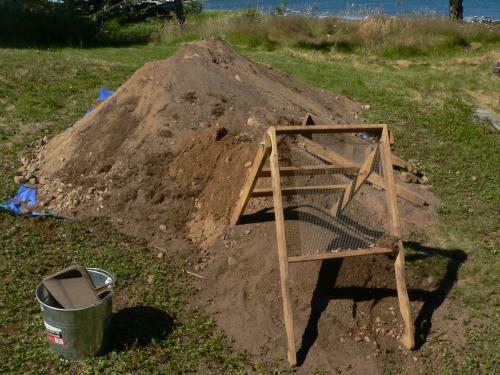 This summer an archaeological excavation is taking place at the trading post of Charles de la Tour in Port La Tour, Shelburne County. 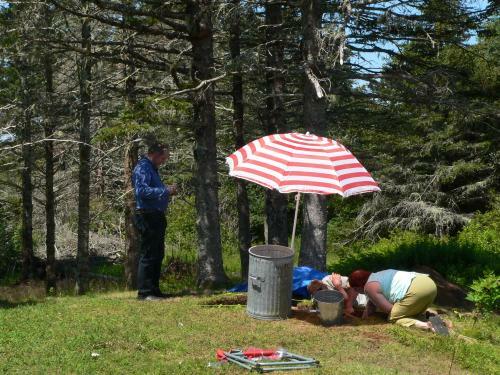 Follow along as Dr. Katie Cottreau-Robins (Curator of Archaeology) and her team explore the site. Also check out the companion exhibit First Peoples, First Meetings: The French in Seventeenth Century Mi’kma’ki on view at the Museum of Natural History. This new exhibit explores a period almost 250 years prior to Confederation shedding new light on early encounters and early relationships between the Mi’kmaq and French traders in seventeenth-century Mi’kma’ki, discover story of kinship and alliance in a time of uncertain change. 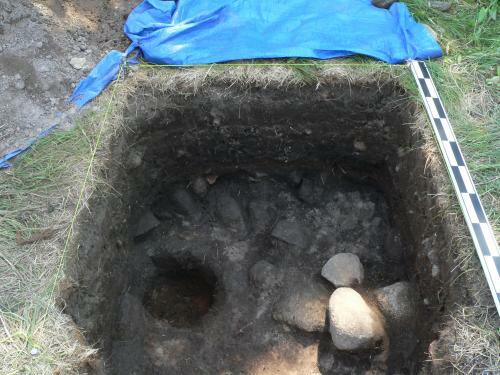 A stream of visitors from far and wide come to see what we are uncovering. Recently La Tours from Quebec and folks from New Brunswick. 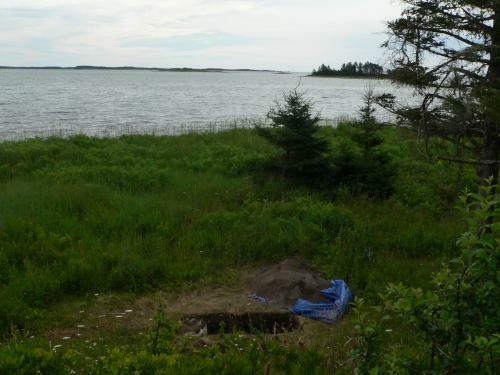 Excavators from the local Acadian community participated in the digging. As we near the end of the dig, we begin to record the various features we have found during excavations, like this post hole that suggests a possible palisade in the ditch. 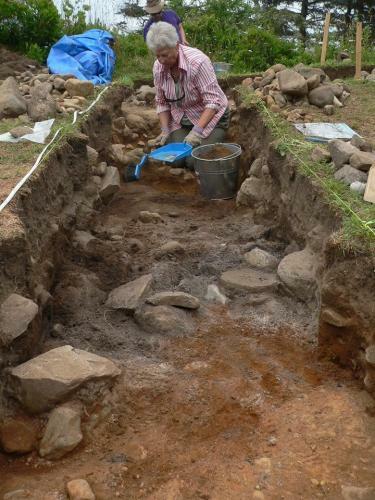 Marion, an archaeologist from Virginia, has been assisting over the past 2 weeks. Here she is in the "rainbow" trench. Note all the different colors of soils which represents different events. Anyone want a serious workout? At the end of this week we begin to back fill all the units and put down the sod, leaving the site as it was when we arrived. This is just one back dirt pile! Rain approaching. We have not had a single day in July that we missed due to rain. Finally, yesterday grey skies approached. Perhaps we will have a chance to clean some artifacts.